Purchase orders are often associated with entrepreneurs, customers, and clients who do a lot of purchasing transactions. When it comes to marketing, placing orders can be quite confusing. Making good use of purchase order form samples would ease the burdens of this kind of transaction. 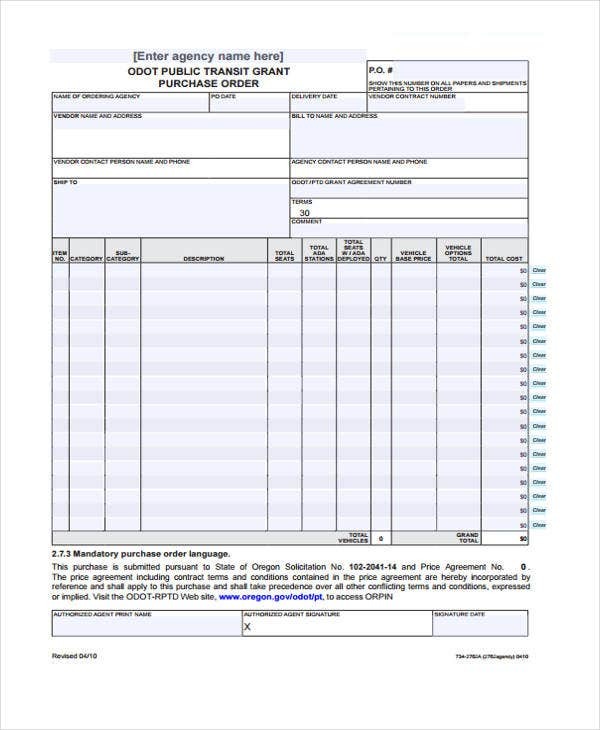 Suppliers and sellers use order forms to issue a breakdown of orders in terms of quantity, price, and types, among others. 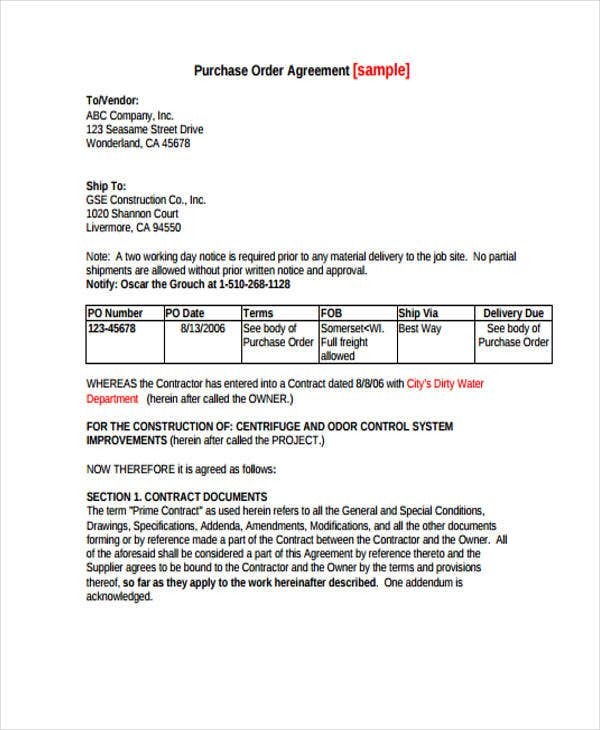 This is to ensure customer or client requests are met before a purchase quotation template is filled out to input specified orders. 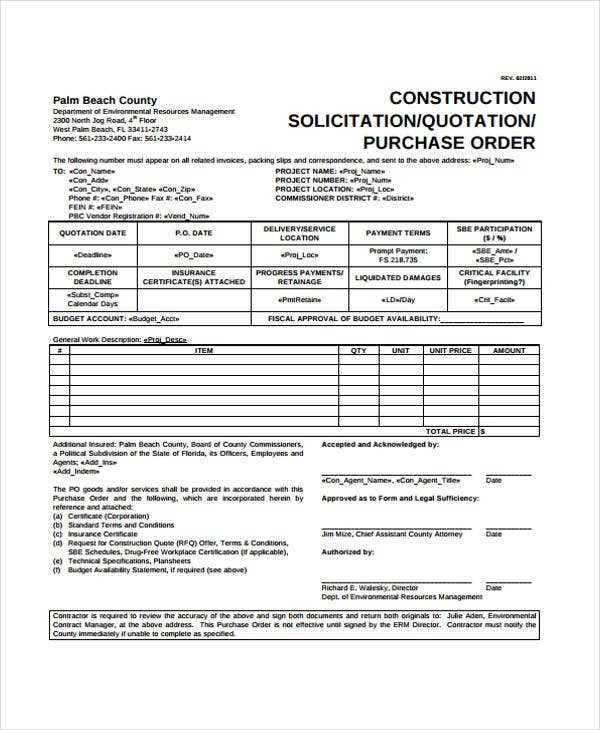 Purchase orders are made to be able to accurately deliver anything that is needed in a given buyer-seller transaction. Business is indeed a diverse field. 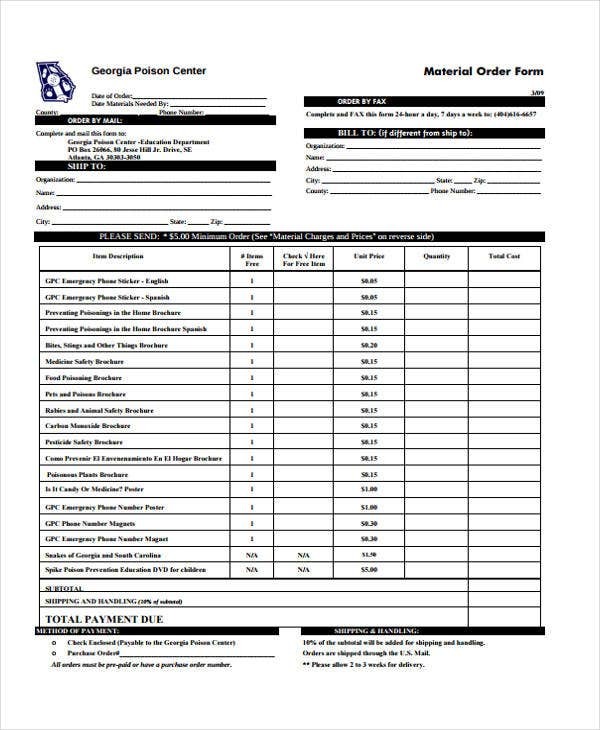 Whether a newcomer or a veteran, it is still wise to know the significance of a purchase order, especially when creating binding documents. Allows good communication between the two parties for the purpose of addressing the buyer’s intentions toward your products and services. Signifies that a seller and a buyer adhere to the standard processes of any purchase transaction. Emphasizes other relevant purchase transactions, such as financial assistance, which could be formally written in a funding agreement template. Allow for matching specific orders and items to their respective buyers and addresses for the sake of convenience. Buyer’s name, which serves to provide a specific name for the client of any given transaction. Table of items, which is needed to provide a basic list of all items being bought, along with quantities and prices. Buyer’s address, so that the supplier has a concrete location to send all the items being bought. Billing information, which provides information for the client to pay, and for the supplier to request payment from. 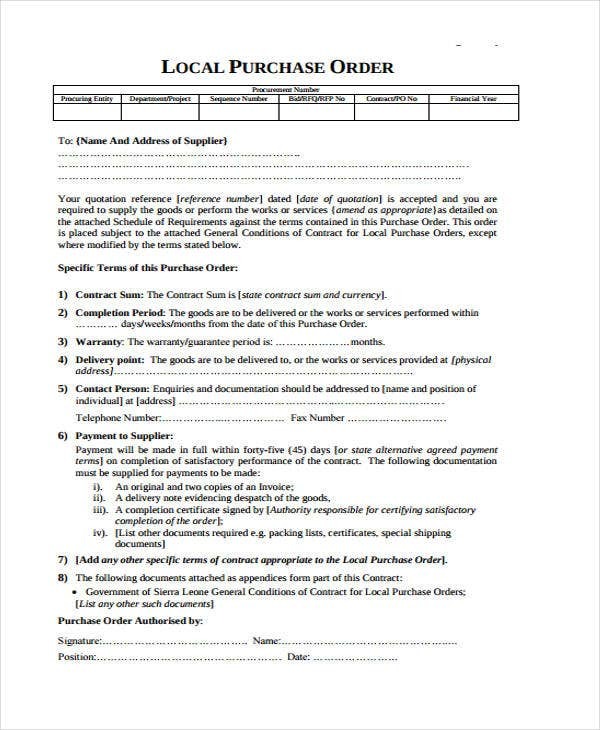 Binding document, as once purchase orders are issued, they become binding documents between buyers and sellers. The recorded information can even be used to fill out business contract templates so as to establish business deals between different parties. Organized budgeting, as it is possible to use these documents to help organize one’s budget. This applies no matter which side of the transaction you belong on. It is much easier to summarize orders when everything is listed in an actual purchase order document. Informative order list, since purchase orders are informative in themselves. It is convenient for all parties if purchase orders are made as accurately as possible. In this manner, bulk orders can be easily identified and prioritized accordingly. It is important to know the distinct differences between these documents, though they are both important documents for any transaction. 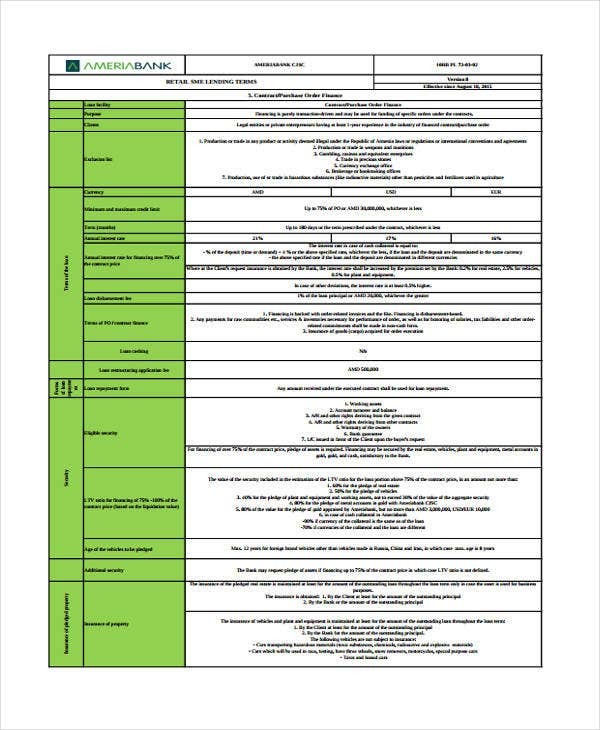 Suppliers and buyers should need to know which ones to use depending on the circumstances. 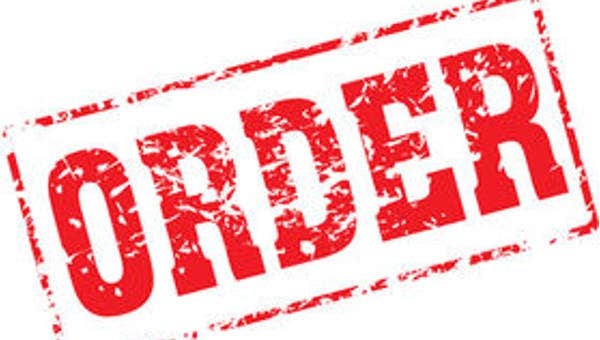 Purchase orders are plainly used for ordering items in specific quantities. 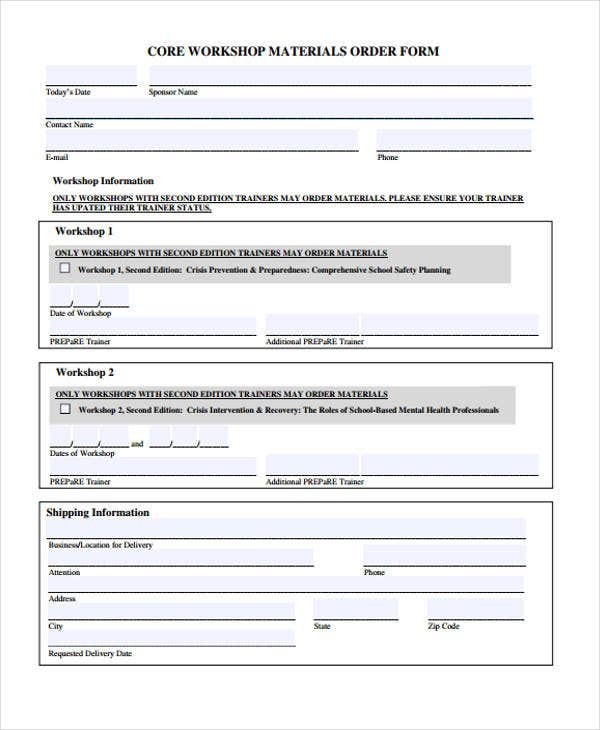 They are filled out by clients so as to provide a list of everything clients need. Clients may or may not already know what they want to place an order on. They are generated so as to inform sellers of buyers’ intentions and begin transactions. A purchase invoice simply lists the items bought by a client and their quantities and prices. These are filled out by sellers so as to tally everything that their clients owe. Sellers already know what clients have bought from them. These are generated to secure payment from clients and bring an end to transactions. In order to make the most of any documents you may have to use in the course of your work, you might want to make use of certain tips. After all, you can use such tips for related work such as business inventory management. Keep your forms simple. As may be the case with documents like a business inventory template, it is important to keep your forms so as to make them easier for your clients to use. After all, this way creates more incentive for your clients to use such methods to patronize you. Provide basic conveniences. It is important that your purchase orders provide maximum convenience for your clients. Part of this involves providing information so as to meet their needs, such as separate options for billing and shipping, contact information, etc. Modify your order forms to suit your business. Since there are a great many options when it comes to what purchase orders are available, it is vital that you always be ready to adjust your own forms so as to reflect whatever your business is. 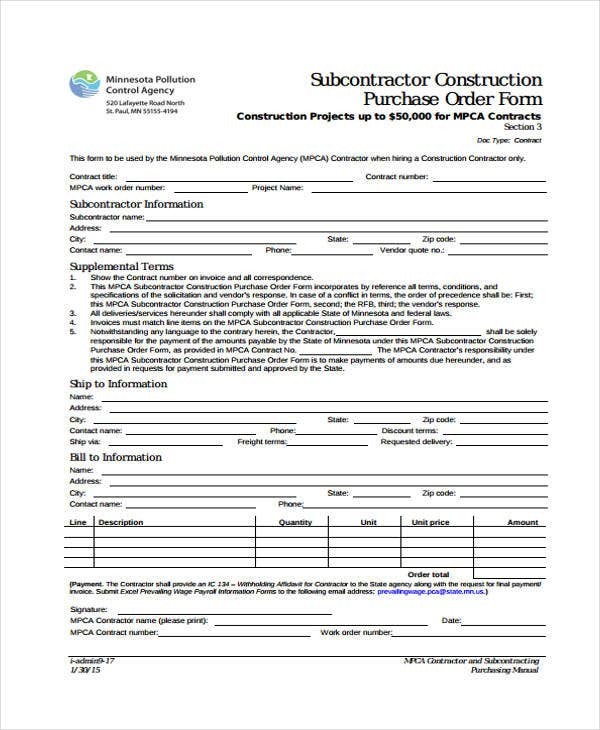 Provide clear billing instructions. This is important for both your clients and yourself, as it not only ensures that you can receive payment from your clients but can also go some way to preventing any legal issues that can arise from non-payment. Part of making the most of any document forms you find for your own use is knowing how to make them properly. 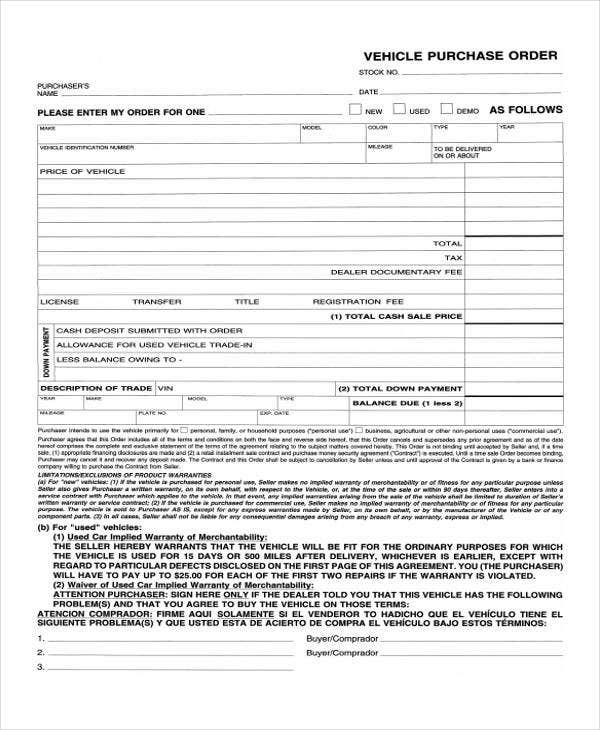 Examples like an order form template are no exception, as it would be necessary to know how these forms are made in order to fully understand how they work. 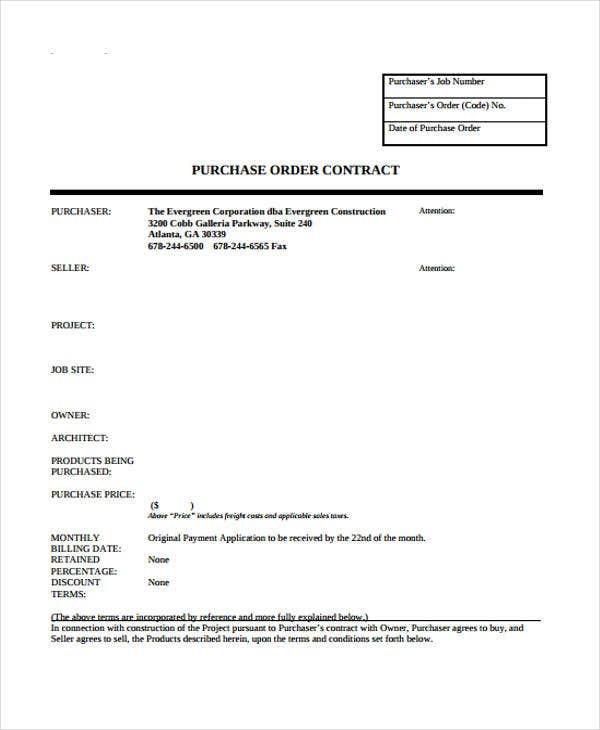 The first thing you need to keep in mind when making your own purchase order is your company’s basic information such as letterhead, contact information, etc. After that, be sure to include space for the date and reference numbers for specific transactions. Make sure to provide space for clients’ basic information as well. You may also offer the choice to split shipping address and billing address if you believe your clientele should have the choice. The basic list of items should be placed in table form and should contain categories in the columns such as item description, quantity, price, etc. At the bottom, be sure to include billing information so as to be more certain of receiving payment. 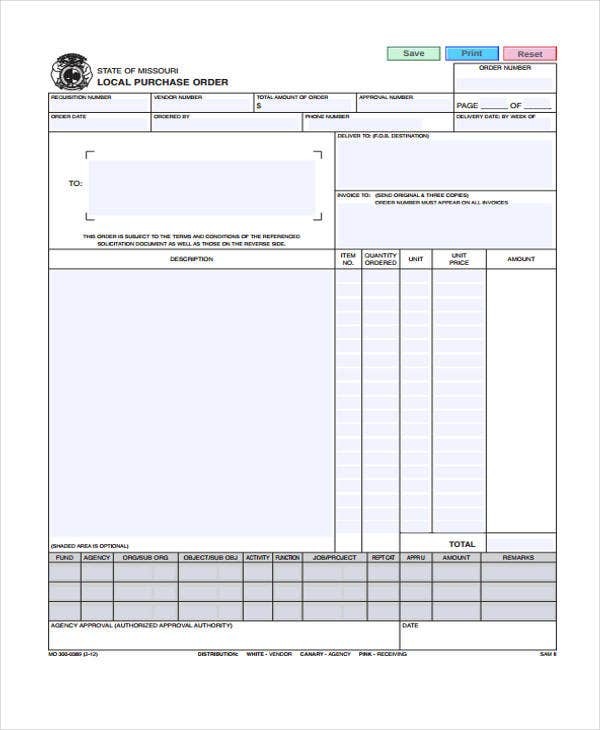 These insights should serve you well if you ever decide that your business requires the use of purchase order forms.